A U.S. District Court judge on Wednesday approved a request to bar statements regarding Google's Android OS made by late Apple co-founder Steve Jobs from a patent trial case against Samsung. Apple sought to bar Jobs' anti-Android sentiments from entering the court proceedings and argued that the statements were not relevant to the patent struggle at hand, reports Reuters. Jobs was famously quoted in his biography as having said Android is a "stolen product" and that he was "willing to go thermonuclear war" against Google's mobile operating system. Samsung wanted to introduce the statements in court, arguing that the "thermonuclear" quote "speaks to Apple's bias, improper motives and its lack of believe in its own claims in that they are a means to an end, namely the destruction of Android." The full statement from Walter Isaacson's "Steve Jobs" reads: "I will spend my last dying breath if I need to, and I will spend every penny of Apple's $40 billion in the bank, to right this wrong. I'm going to destroy Android, because it's a stolen product. I'm willing to go thermonuclear war on this." According to what Jobs told Isaacson, he followed-up his claims by telling former Google CEO Eric Shmidt that "I don't want your money," in regard to a possible settlement. "If you offer me $5 billion, I won't want it. I've got plenty of money. I want you to stop using our ideas in Android, that's all I want." For its part Apple said the quotes are inadmissible and only serve as a distraction. Judge Koh agreed and said the statements were not germane to the issue on trial. 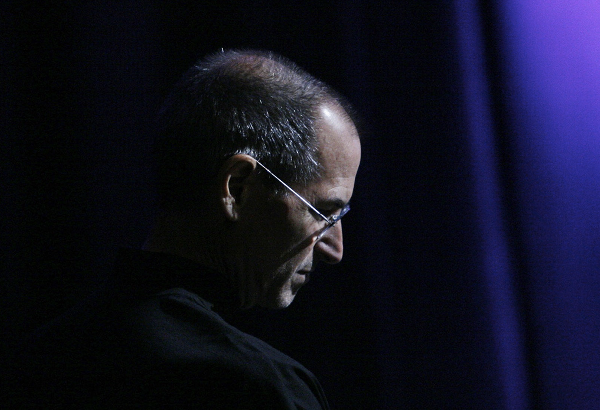 "I really don't think this is a trial about Steve Jobs," Judge Koh said at Wednesday's hearing. The day was not a complete loss of Samsung, however, as evidence pertaining to Apple's Chinese operations was deemed eligible for discussion though not in terms of human rights violations. Taxes paid by Samsung in the U.S. can also be discussed but tax avoidance issues regarding the payments are restricted. Apple first filed suit against Samsung products which allegedly infringed on the "look and feel" of the iPhone and iPad. Most recently the Cupertino-based company won a temporary U.S. injunction against the Galaxy Tab 10.1 as well as an identical sales ban for the Galaxy Nexus, though the latter was ultimately stayed by the U.S. Court of Appeals for the Federal Circuit. The Apple v. Samsung jury trial is set to begin on July 30 at the U.S. District Court for the Northern District of California.